About 50 Bloomington, Ind., residents and Indiana University students joined on Monday night at Max's Place, a local pizza parlor located at 109 S. Walnut St., to share and learn about 2008 Republican presidential hopeful Ron Paul. 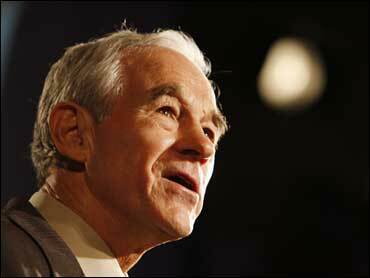 The event, "Ron Paul: Love him or hate him?" was organized by IU Students for Ron Paul and a group of local residents. They invited those in favor, against and unaware of Paul to discuss his policies. The three-and-a-half hour event included speeches given by supporters of Paul, videos of Paul's public appearances and performances from four local bands. Organizers said they hoped to inform people who didn't have an opinion on Paul so they could learn about his platforms on key issues such as the war in Iraq, his position as anti-abortion and his dislike for the Patriot Act. Sophomore Jesse Gross said she attended the event without having any strong feelings for or against Paul. After watching clips of Paul's public appearances, she said she understood why Paul has gained so many supporters. "I have been looking into him," she said. "I usually vote Democratic, but the candidates this year aren't really up to par with what I think our country needs right now." Gross said she, however, still has objections to Paul's stance on foreign policy, particularly his caution in providing aid to foreign countries. According to Ron Paul's website, he expresses concern on providing aid to foreign countries whose governments he says are "despised." Dan Forslund, a Bloomington resident who helped plan the event, said the event wasn't planned to be perfect, it was planned to get people informed about Paul. "We all kind of feel the time ticking and name recognition seems to be his campaign's biggest obstacle," he said. "We felt a sense of urgency just about getting his name out there." Paul has gained increasing popularity in the last year with his campaign, a "Hope for America." In July, his website reported that his fundraising surpassed that of Sen. John McCain's. "He believes in freedom," senior Jared Schneider said. "There's so much voter apathy these days, and it's not because people don't want to get involved in politics. It's because they don't think there is a candidate who can represent them. "Finally there is a candidate that can do just that. He (Paul) doesn't find his logic and reasoning from the pages of the bible, or the party lines. He finds it in the Constitution." Schneider feels that other candidates are more likely to pursue military conflict with Iran, which Paul has said he's against. Schneider also supports Paul's platform against the war on drugs and of decreasing the control of the federal government. According to his website, Paul argues against the war in Iraq, favors lowering taxes, holds an anti-abortion sentiment, wants to withdraw from the United Nations and hopes for a reform of Social Security. Forslund said he hopes people will better understand where Paul is coming from with his hope to reform Social Security and said that support given to the poor causes the federal reserve to take from money they do not have, causing debt. "First and foremost, it's all about sound money," Forslund said. "If you are going to talk about helping poor people out or anybody at or below the poverty line, you have to address the monetary issue. It's about time." The group hopes to have more events as the election draws nearer. "He definitely hasn't gotten a lot of help from the mainstream media," said Andrew Sharp, president of IU students for Ron Paul. "That's kind of what I think drives his supporters to help. We realize he's not going to be able to do this on his own. He need our support."